Rabies is a scary word for many pet owners, conjuring images of sick and crazy animals that foam at the mouth, wander around in circles and bite human beings. Unfortunately, the reality isn’t any less frightening. All it takes is one bite for it to spread, and if left untreated, it can become fatal, even to human beings. So, what is rabies? Rabies is a viral disease that is most often spread by a bite from an infected animal. Once an animal (or person) is infected, the virus will find its way to the brain by way of the peripheral nerves, where it causes brain inflammation and ultimately death due to respiratory issues. In dogs, it has been observed to progress in three stages, with the second or final stage being the most commonly depicted version seen on television and in movies. This stage is also known as furious rabies due the tendency of the animal to be hyper and extremely aggressive. Fortunately, it only lasts for days rather than weeks. The disease is debilitating in the latter stages, with the infected animal falling into a coma after experiencing paralysis of the face, throat and rear limbs. Animals in this last stage are far from menacing monsters – they are instead suffering victims of the disease. Death most often occurs as a result of respiratory problems. The symptoms of rabies begin with behavioral changes; this is often witnessed in wild animals such as foxes, skunks or raccoons, which lose all fear of human beings and act as if completely tame. While it can be upsetting to animal lovers, animals exhibiting this trait need to be destroyed. This friendly behavior is the most misleading of rabies symptoms, since it is followed within three days by the furious rabies stage. The time it takes for rabies to manifest in the animal is directly related to where the original bite occurred; the disease takes over more quickly with less distance to travel between the bite and the brain. Giving your pets a rabies vaccination is the only way to protect them from the disease. By the time the presence of rabies in cats or dogs is evident, it’s too late to save them. 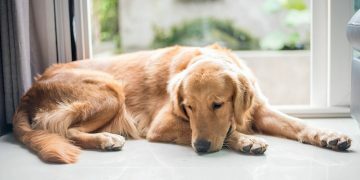 If your pet’s behavior has changed, that means that the disease has reached its brain and the encephalitis has already begun. 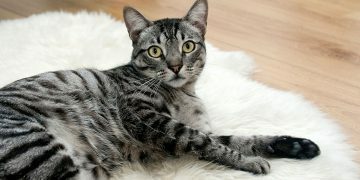 If your pet hasn’t been vaccinated and you have reason to suspect that it has been bitten by another animal, contact a veterinarian or animal hospital right away – a rabies shot as soon as possible could mean the difference between life and death. 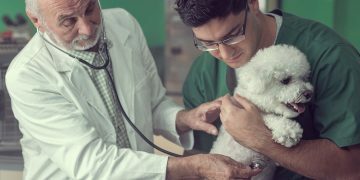 If you want to protect your pets, you have to make sure that they have their rabies shots before they risk coming into contact with the disease. There’s no cure for rabies, so the preventive rabies vaccine is your best defense!